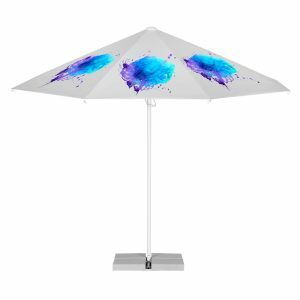 Our Large Centre Pole Printed Parasols collection comprises of parasols from 2m up to a huge 6m. You will find a a plethora of different frame materials from wood to wood-effect to different metals. Giving you optimum choice. 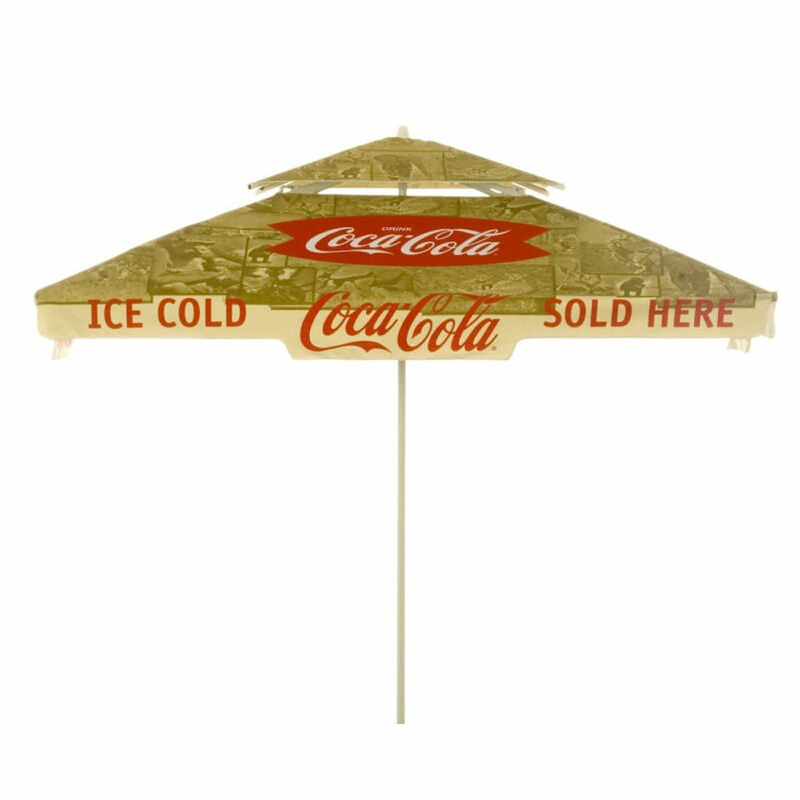 We are pleased to offer no minimum order numbers with our large printed parasols. Plus we have lead times from 4 weeks. If you have a tight budget we offer budget-saving prices with our 8-10 week lead-times. 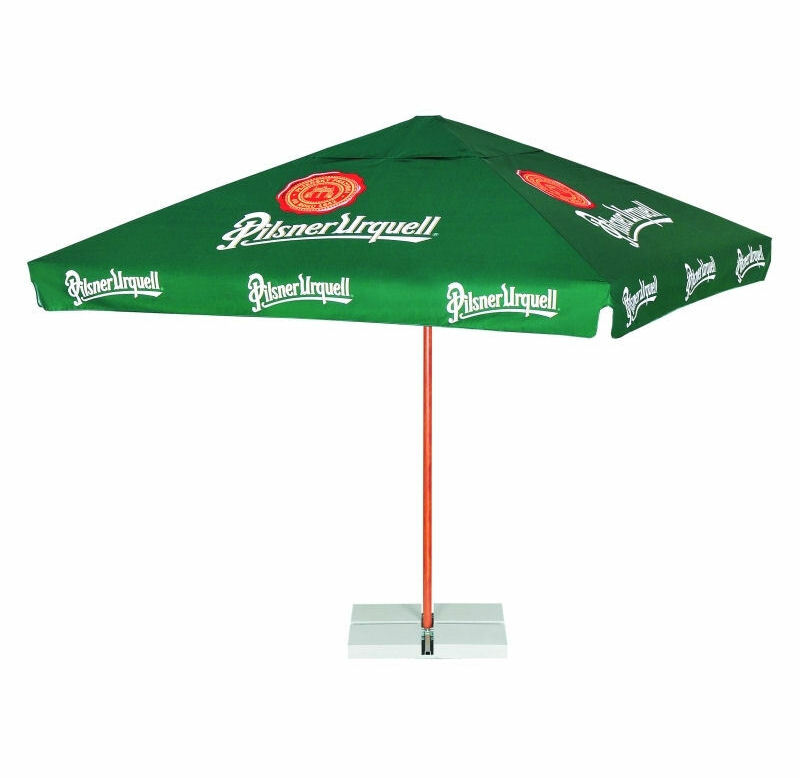 Our extensive collection of large centre pole promotional parasols gives you exceptional choice of canopy colours (over 40 stock colours). 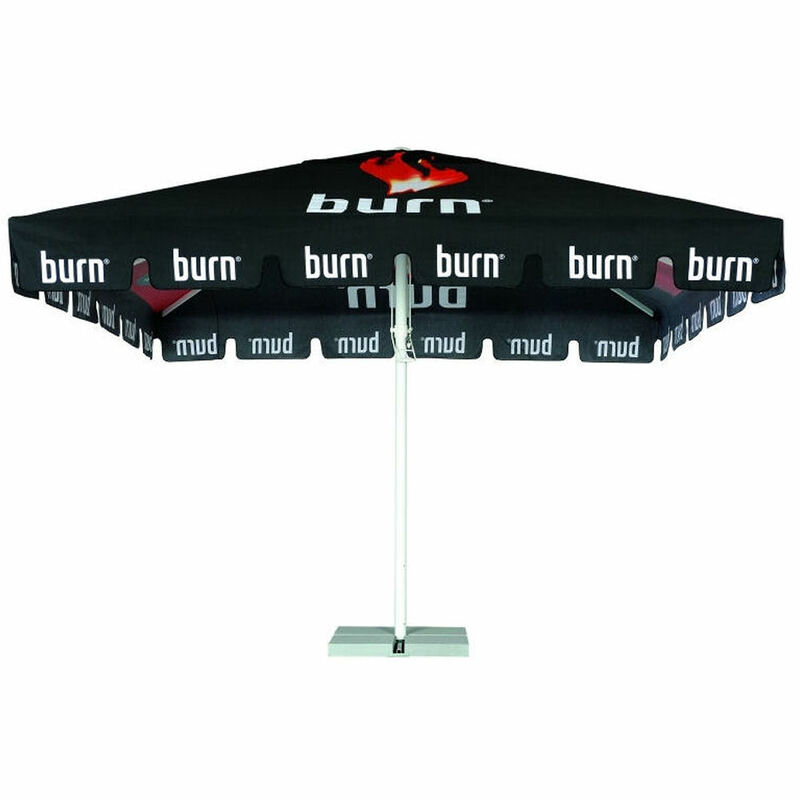 We even offer free pantone matching on all of our canopies for orders of 5+ units.